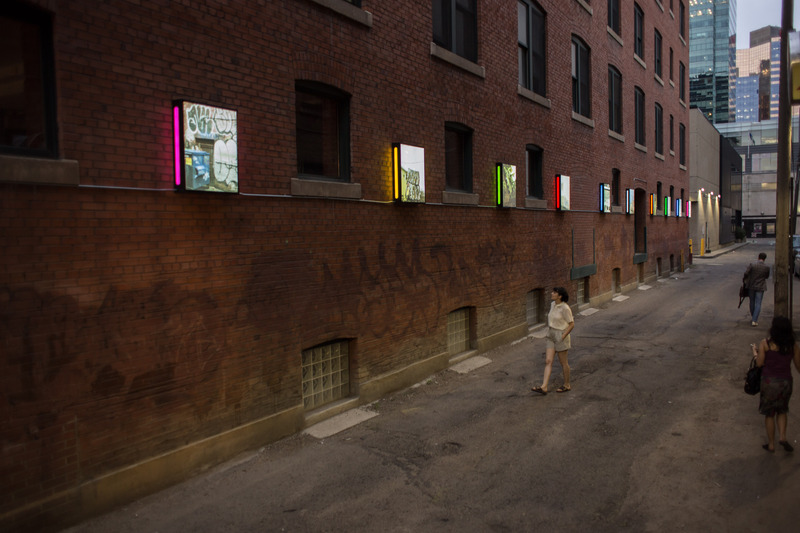 The Places and the City of Edmonton launched the Alley of Light Art Boxes in February 2017. Particularly captivating at night, ten illuminated boxes host changing exhibits of local photographers work. The current exhibit features A Quiet Resilience by Edmonton-based photographer Tegan B, invited by the exhibit curator Eleanor Lazare.